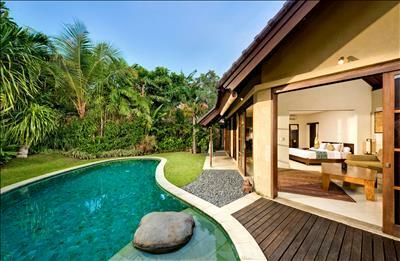 Escape to our perfect 1-bedroom luxury villa retreat to revitalize the soul. Accessed via stepping-stones over a tropical fish pond, this peaceful sanctuary features stunning, verdant gardens, a sun-kissed private pool and a breath-taking jungle bathroom. Relax in the vast Jacuzzi volcanic stone bathtub with a mesmerizing backdrop featuring a waterfall trickling through rockery and into a tropical fishpond, adorned with antique ornate wooden statues. The expansive, light-filled indoor living room, fully air-conditioned, can be opened up to the gardens with a natural wooden deck, a traditional thatched Balinese pavilion and pool views. The living area adjoins the bedroom which houses a super king-size bed. This is a natural paradise where guests can enjoy the luxury of a private poolside massages from our Spa Venus staff under the shady trees whilst squirrels peep down inquisitively from ancient palms. 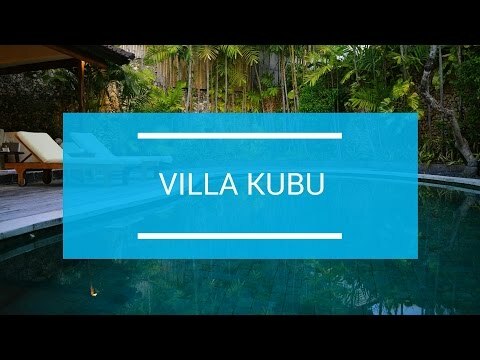 Guest enjoying Villa Kubu’s one-bedroom villas also enjoy the luxury of full hotel services from Kubu’s trained team of staff, many of whom have been with us for over a decade – gourmet chefs, experienced spa therapists, knowledgeable gardeners and conscientious housekeepers. 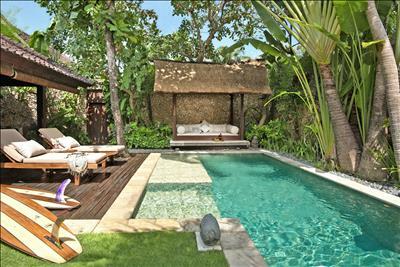 Villa 11 can be booked in tandem with Villa 12 to create a two bedroom, two pool enclave. We had a very memorable stay & enjoyed ourselves. We will certainly come back!